the mother of all prefabricated concrete slab-constructions and le corbusier’s vision of modern living: 17 floors with around 550 apartments for 1300 people. the project was part of the berlin architecture exhibition InterBau 1957. the most prominent modern architects of the time - aalto, eiermann, gropius, jacobsen, niemeyer, a.o. 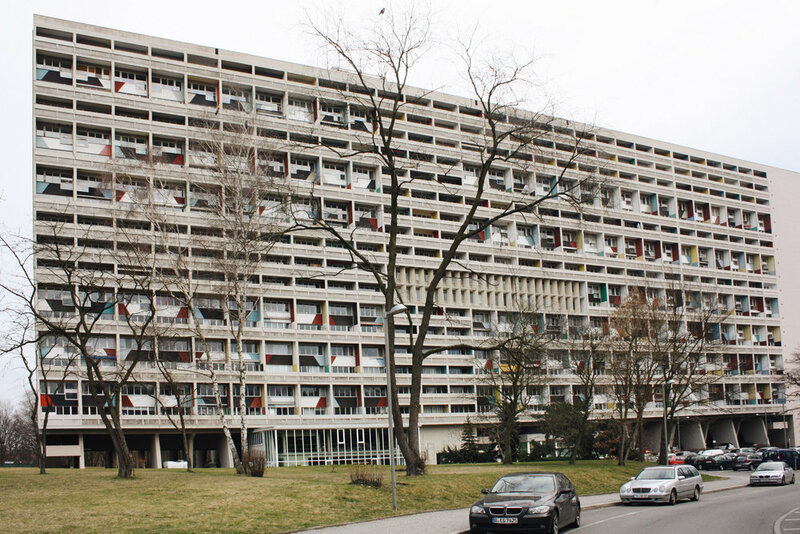 - met to redesign the destroyed hansaviertel in the center of berlin. it was only le corbusier who requested his own piece of land to fit his even greater plans. he succeeded and his unité was built in the outskirts of the city. as with the preceding unités in marseilles and nantes, le corbusier used his famous “modulor" principles for the design. the ceiling height was restricted to 2,26 meter and thereby so low that it conflicted with german building codes. it was modified to 2,5 meter height. 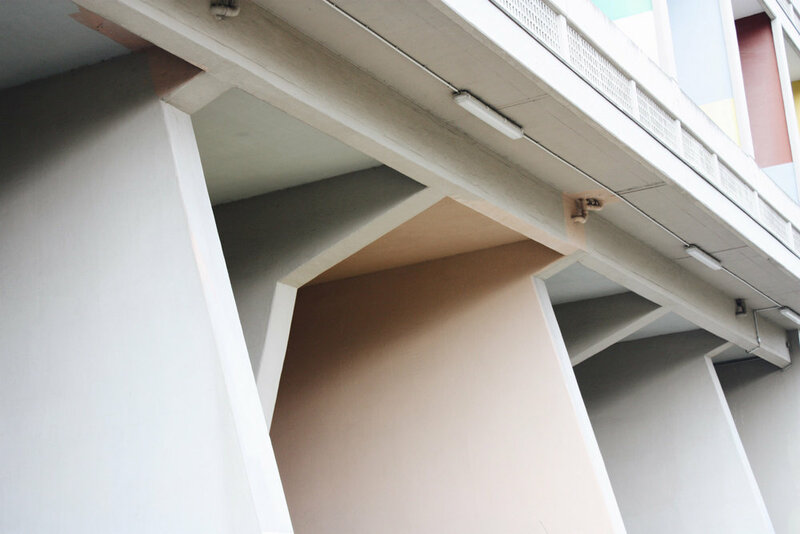 le corbusier named the inner access corridors “streets" and planned it as a meeting place for the neighbors. conceived without any windows they rather suggest a scenery of the film “brazil". a real nightmare vision with the smell of polyvinyl chloride. no matter if you admire or despise le corbusiers’ vision: one has to admit that after almost 50 years it didn’t lose much of its radical nature.